Did Daniel ever wonder why the Lord willed that he would live in captivity? If he did, it was probably very clear to him that he was to be a witness to the one God, since he was called to testify of him in the courts of Nebuchadnezzar and Belshazzar. For this same purpose Jesus was sent into the world. As Daniel interpreted dreams, Jesus interpreted life, healing people, rebuking demonic forces, and preaching the good news of the kingdom of God. He was a witness to the one true God. Do you ever wonder why you must go through some of the things that beset you? Like Daniel, like Jesus, wherever we have been sent—even if feels like a kind of exile—we can know with confidence that we are children of God. We can keep his commandments and live a victorious life wherever we are, and despite what we may be going through. No matter the difficulty, we are called to overcome it, as Daniel did, as Jesus did. 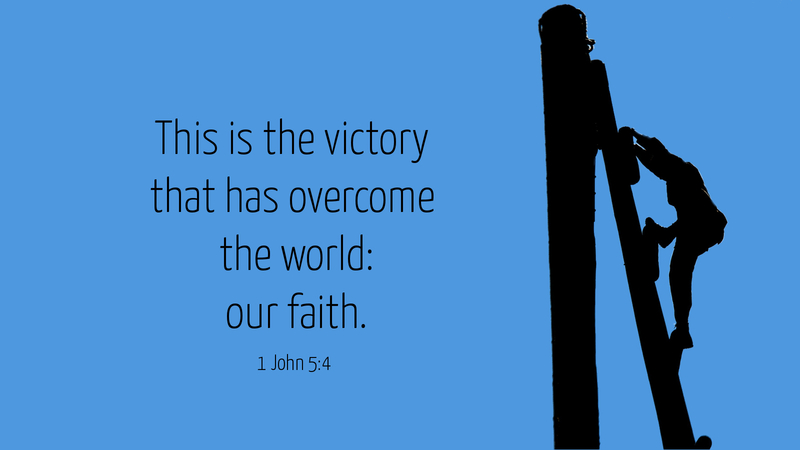 And how are we to be victorious over all the circumstances of life, except by faith alone, by believing that Jesus is the Son of the God? Prayer: Increase my faith, Holy Spirit, that I may be your witness. Amen.